Emily Le Coz and Lucille Sherman expose the Wind Industry's tactics, schemes, and devastating impacts to families around the country in their article titled "In The Shadow Of Wind Farms". On full display are the wind developers' and utilities' misinformation campaign and how their actions rip apart families, communities, and lives. Our thanks for the hard work and fact finding that went in to documenting the truth and laying bare an industry hell bent on destroying more lives. Scroll down the page, you will see a gray box on the right-hand side of the screen with the words "My Story." There, click on the orange button that says "Share" and you will be directed to an online form where you can submit your own story. It is with a most heavy heart and deep grief that I share this news with you. Jim Vanden Boogart passed away on Friday, November 24th. As most of you know, Jim was an integral member of BCCRWE, leading our group as president for many years. He not only helped spare our neighborhood from the Invenergy wind project that would have had most of our families living in the shadows of turbines, but was equally devoted to those around the world that contacted him for his experience and vast knowledge. All while doing whatever he could to help those already harmed by injustice. He fought for truth and bravely exposed those that dealt otherwise. A man rooted in God and committed to personal responsibility, Jim possessed more compassion and patience than any person I have ever known. A talented writer, an expert mason, and intensely creative. He will be missed as a husband, father, grandfather, brother, uncle......and as a dear, dear friend. His smile, laughter, joy and example can not be replaced. Rest in Peace Jim. Shirley Wind (Brown County, WI) has received global attention following the October 14, 2014 declaration by the Brown County Board of Health that Duke Energy’s eight 2.5 MW wind turbines are a human health hazard– a declaration that has not been rescinded. To better understand the issue of wind turbine adverse health effects, Brown County officials hosted a special event featuring presentations by Dr. Herb Coussons, Robert Rand, Dr. Robert McCunney, and Mark Werner, followed by a 2-hour Q&A session (all as part of a joint meeting of the Brown County Human Services Committee and Board of Health held on September 12, 2017). Eleven people living near the Shirley Wind Farm say their health improved when the turbines were off for several days this summer. The people, who live near the site in southern Brown County, have prepared notarized statements saying that sleep problems, headaches, nausea and other symptoms subsided or disappeared for almost four days in late July. They claim the symptoms result from low-frequency sound produced by the windmills. Brown County Citizens for Responsible Wind Energy (BCCRWE) produced this document for the purpose of providing evidence that demonstrates that (former) Brown County (Wisconsin) Health Director Chua Xiong’s conclusion regarding wind turbines and health concerns lacks validity and that her conclusion was based on a very flawed process by which submitted evidence was selectively reviewed and inconsistently weighed, or ignored altogether. On October 14, 2014, after more than four years of hearing testimony from residents, visiting the wind project, studying the science on wind turbine noise, speaking to researchers, and reviewing noise testing results, the Brown County Board of Health correctly and courageously declared Duke Energy's Shirley Wind turbines a 'Human Health Hazard' in accordance with Brown County and Wisconsin state statutes. THIS HAS NOT CHANGED. This unanimous declaration of the Brown County Board of Health remains in force today. A Wisconsin town of fewer than 1,200 stands on the verge of sending shock waves through the wind energy industry. Late last year, Glenmore, a rural community just south of Green Bay, persuaded its county's board of health to declare that the sounds of an eight-turbine wind farm pose a "human health hazard." On January 20th, the Brown County Board of Health held a Special Meeting to give Duke Energy and the public the opportunity to share pertinent information regarding the Shirley Wind project operating in the Town of Glenmore. Despite being specifically asked to do so, Duke failed to address the health concerns or offer solutions. Duke only presented their legal opinion opposing the Board’s October 14th declaration of the Shirley Wind turbines as a ‘Human Health Hazard'. All others who spoke supported the Board’s action with the exception of two UWGB colleagues. Duke Energy's Shirley Wind Turbines Declared "Human Health Hazard"
Duke Energy's Shirley Wind Turbines Declared a "Human Health Hazard"
"To declare the Industrial Wind Turbines at Shirley Wind Project in the Town of Glenmore, Brown County, WI. A Human Health Hazard for all people (residents, workers, visitors, and sensitive passersby) who are exposed to Infrasound/Low Frequency Noise and other emissions potentially harmful to human health." Read more: Duke Energy's Shirley Wind Turbines Declared "Human Health Hazard"
Rick will speak about his experience as a noise control engineer and acoustician and the recently released results of the Wisconsin study authorized by the Public Service Commission centering on the Shirley wind farm in the town of Glenmore. It was conducted by Clean Wisconsin, a clean energy advocacy group, and four independent firms. The groups monitored the wind farm for four days in early December. Duke Energy Renewables Inc., a subsidiary of Duke Energy Corp., based in Charlotte, N.C., pleaded guilty in U.S. District Court in Wyoming today to violating the federal Migratory Bird Treaty Act (MBTA) in connection with the deaths of protected birds, including golden eagles, at two of the company’s wind projects in Wyoming. This case represents the first ever criminal enforcement of the Migratory Bird Treaty Act for unpermitted avian takings at wind projects. In October, an important report was finalized and sent to the Wisconsin legislature by the Public Service Commission of Wisconsin (PSCW). This wind turbine siting health review and policy update report was drafted by the PSCW staff and Wind Siting Council (WSC). State statutes mandate that this report be produced every five years. Its purpose is to inform the legislature of changes that are needed to Wisconsin’s statewide wind siting rules (PSC 128) and other related necessary actions. Readers need to understand how the WSC Report was produced and why its heavily biased position cannot be trusted. Two conservation groups are urging federal regulators to slow down on approval of what would be the nation's largest wind farm until more efforts are made to mitigate the impact on eagles. The groups—the American Bird Conservancy and the Biodiversity Conservation Alliance—told the U.S. Fish and Wildlife Service in a 15-page letter released Wednesday that between 46 and 64 golden eagles would likely be killed every year by the spinning blades of 1,000 wind turbines planned by the Power Company of Wyoming. (Washington, D.C., January 8, 2014) The Ohio National Guard facility at Camp Perry, near Port Clinton in northern Ohio, is the focus of possible legal action by American Bird Conservancy (ABC), a leading national bird conservation organization, and Ohio’s Black Swamp Bird Observatory (BSBO), which today announced the intention to sue the Ohio National Guard in connection with violations of the federal Endangered Species Act (ESA) and other federal laws concerning the planned installation of a wind turbine on the shores of Lake Erie. The Obama administration has nearly finalized a rule that would give energy companies lengthy permits for wind farms that end up killing bald and golden eagles. Hundreds of thousands of birds are killed every year after flying into large wind turbine blades, an issue that became an ongoing saga for the administration this year. The White House finalized its review on Thursday of a rule that would give the farms a 30-year pass for the killings, known as "takings." The details of the Interior Department rule are not yet known and it is possible it could be tweaked, though significant changes would be unusual at this stage in the process. "Wind energy is not green if it is killing hundreds of thousands of birds. The unfortunate reality is that the flagrant violations of the law seen in this case are widespread." WASHINGTON — A major U.S. power company has pleaded guilty to killing eagles and other birds at two Wyoming wind farms and agreed to pay $1 million as part of the first enforcement of environmental laws protecting birds against wind energy facilities. "Wind turbines are illegally inflicting severe losses on so many protected bird species that the problem can no longer be ignored or tolerated." PBS Newshour: Are Wind Turbine Rare Earth Minerals Too Costly for Environment? LINDSEY HILSUM: It doesn't look very green. 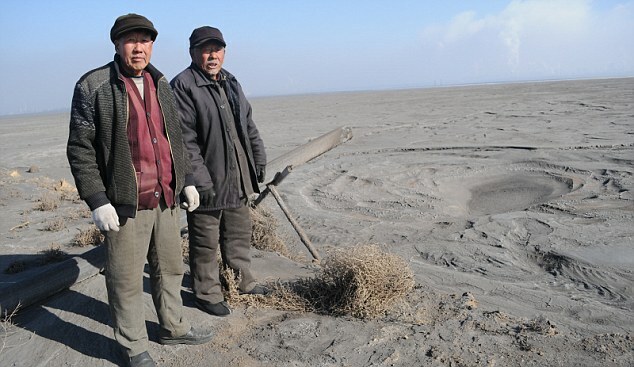 Rare earth processing in China is a messy, dangerous, polluting business. It uses toxic chemicals, acids, sulfates, ammonia. The workers have little or no protection. Read more: PBS Newshour: Are Wind Turbine Rare Earth Minerals Too Costly for Environment? Over 600,000 bats were killed by wind energy turbines across the United States last year, with the highest concentration of kills in the Appalachian Mountains, according to new research. In a paper published Friday in the journal BioScience, University of Colorado biologist Mark Hayes used records of dead bats found beneath wind generators, and statistical analysis, to estimate how many bats were struck and killed by generator propellers each year. "Dead bats are being found underneath wind turbines across North America," Hayes wrote. "This estimate of bat fatalities is probably conservative." Two married couples, James and Barbara Vanden Boogart and Jon and Lori Morehouse, represented by WILL in a federal civil rights lawsuit against the Town of Morrison in Brown County would like to report that they have reached an agreement with Town officials to settle the case. The Town and its insurance company have agreed to pay the plaintiffs $7,500 each (an amount which only partially covers their out of pocket expenses) as well as $20,000 to their attorneys in order to save the town further litigation costs. The majority of funds will come from the Town’s insurance company. This lawsuit was filed to challenge the town’s unconstitutional sign ordinance and its selective enforcement that placed a near-blanket prohibition on signs in residential and agricultural districts, preventing residents from placing signs with political, religious, or personal messages on their own property. By enforcing that ordinance, Town officials stifled opposition to potential industrial wind turbine developments in the Town, issuing takedown notices and citations to many residents, including the plaintiffs. After working vigilantly with the Town of Morrison for over two years in an attempt to have the ordinance amended, the plaintiffs very reluctantly brought this lawsuit against former Chairman Todd Christensen, former Code Enforcer Mark Roberts, and the Town, only after Christensen’s repeated message to residents – if you don’t like it, sue us. Below are links to very recent published articles countering the misleading and manipulative words of the wind industry and the pseudo-environmental groups they substantially fund. Below are the actions of Brown County concerning Duke Energy's Shirley Wind LLC in Glenmore. The action of all these groups were UNANIMOUSLY passed (almost unheard of in Brown County government). Below are the links to the official minutes and the detailed documents (in reverse chronological order). October 21st, Good Morning America covered the sad state of affairs in Falmouth, Massachusets. The same story could have been told here in Brown County, Wisconsin where three families have vacated the homes they still own in order to restore their health.